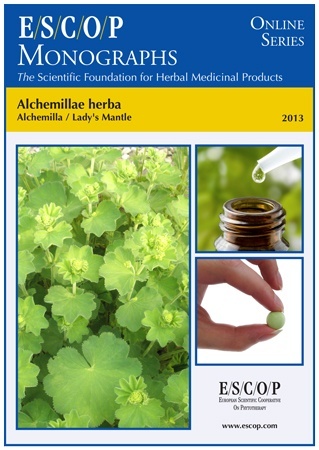 The herbal monograph selects and summarises scientific studies and textbooks regarding efficacy, dosage and safety to support the therapeutic uses of lady’s mantle. The botanical definition of the herbal drug is the whole or cut, flowering aerial parts of Alchemilla vulgaris L. sensulatiore, a synonym is: Alchemilla xanthochlora Rothm. Studies with its main characteristic constituents which are tannins and flavonoids are included. The therapeutic indications are non-specific diarrhoea and gastrointestinal complaints. Administration of lady’s mantle addresses dosage, its duration of use; contra-indications; special warnings; special precautions for use; interactions with other medicinal products; other forms of interaction; in pregnancy and lactation; its effects on ability to drive; undesirable effects; overdose. In vitro experiments with lady’s mantle demonstrate antibacterial, astringent, antioxidant, anti-inflammatory and wound healing properties. In vivo experiments in animals demonstrate angioprotective, haemo-rheological and wound healing activities. Clinical data in humans demonstrated its use in patients with minor oral ulcers. 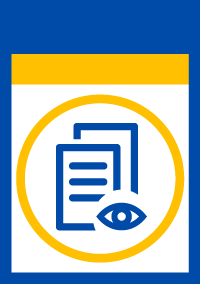 Preclinical safety data did not reveal anything on mutagenicity. Clinical safety data showed good tolerability for a topical preparation. The selection of literature cited in the monograph is aimed at bringing together relevant information about the possible physiological roles of lady’s mantle and its major constituents. Are you looking to boost your knowledge?